There is something powerful about the spoken word. Right from the get-go in Genesis, we see Almighty God speak the world into existence. God said let there be light and light was (Gen 1:3). Let that sink for a second. Once this scripture simmered in my heart, it quickly turned into principle. God spoke to my spirit and challenged me to not just read scripture, but to SPEAK scripture. That’s right, speak it out loud every morning in my time with The Lord. At first, it seemed a tad bit silly and awkward to be reading my Bible alone and out loud by myself, but after yielding to obedience, I started to feel a sense of power and confidence. Here are three benedictions that I obtain by reading scripture out loud. Paul said to the church in Rome that faith comes from hearing the Word of God. How many of us know what we can hear our own voice? So then, if faith comes by hearing the Word, I want to hear it as much as possible! 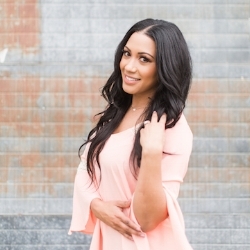 When I began speaking scripture out, it activated my faith and replenished my spirit. I had an overall more meaningful experience! This may sound crazy, but reading scripture aloud gave me a courage and reverence that had my fears shaking in its boots. Whether I was reading a narrative, a letter, or a Psalm, the Living Word not only became active, but powerful. When we read aloud we stimulate different areas of our brain, and in doing so you can become confident and assured! We are supposed devote ourselves to scripture. Paul tells his apprentice, Timothy, to devote himself to reading scripture out loud. And I believe it is because it propels our devotion to God. When I read aloud, it slows me down. It forces me to focus. It enables me to retain what I am reading. I become devoted. I become dedicated. And through all this, I am creating a more intimate relationship with my Creator. I am not suggesting that one should read their Bible aloud now and forever more. I truly believe you can get just as much out of your time with the Lord if you read quietly to yourself. But if you are in a funk, unmotivated, or feel you need a new practice to integrate into your Power Hour, reading aloud is powerful, biblical and an amazing way to draw closer to God. Next time you find yourself racing through your reading, try pausing and speaking His Word aloud. There is so much power in the spoken Word! Entrepreneurs, Dreamers, Doers & Fashionistas! 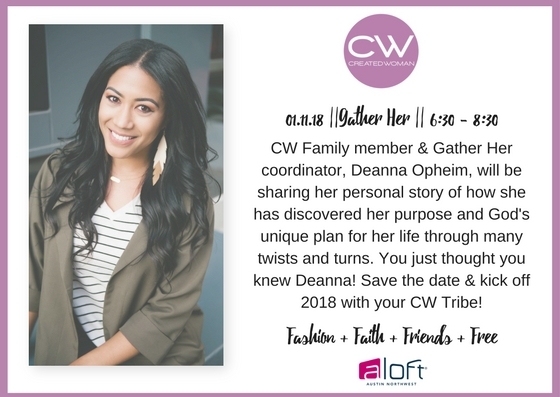 Kick off 2018 with clear vision for who God created you to be by joining us at Gather Her with special guest speaker, Deanna Opheim. Newer PostThe Most Wonderful Time of the Year . . .